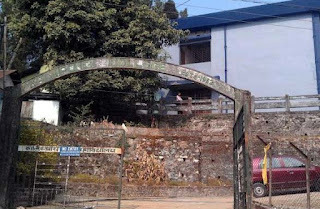 The Jana Andolan Students' Union that won Kalimpong College elections recently has written to the state higher education department demanding the appointment of a permanent teacher in the mathematics department that has only one temporary professor since September 2013. Forty-five undergraduate students have math honours or pass papers in the college and the Jasu apprehends that the department will shut down if the only teacher quits. Asked about the situation, the college principal said there were two sanctioned posts in the department and he was hopeful that at least one would be filled up "soon". Manish Khaling, secretary of the college union, said the math department had been without a permanent lecturer since September 2013. "Our fear is that the department could face closure in the absence of a permanent lecturer if the present teacher were to quit. It would jeopardise the career of around 45 students of first, second and third years," he said. "We have written to Vivek Kumar, principal secretary of the state higher education department, demanding that a permanent lecturer be appointed before winter break ends (in February)," he said. Principal R.P. Dhakal said: "There are two posts. But when we advertised for those, we did not receive a single application. I am hopeful that one of the permanent posts will be filled up soon."